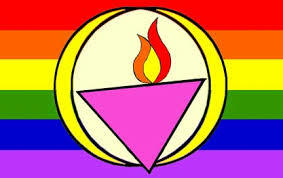 The Unitarian Congregation of Taos is a liberal religious community affiliated with the Pacific Western Region of the Unitarian Universalist Association. As with all UU congregations, we are non-doctrinal and self-governing. Our services—and our individual beliefs—draw from many sources, including the wisdom of the world’s religions and spiritual traditions, humanist teachings, and direct experience of the transcending mystery and wonder, affirmed in all cultures, which moves us to a renewal of the spirit and an openness to the forces which create and uphold life. WELCOME, NEWCOMERS AND VISITORS! BIENVENIDO INVITADOS! Quizá usted se sienta comprometido a mejorar el mundo. Quizá usted esté del lado del amor y en contra de la injusticia y la opresión. Quizá usted crea que las personas con diferentes creencias religiosas pueden unirse en una comunidad espiritual trascendente. Quizá usted cuestione asuntos religiosos y por lo tanto busque un hogar religioso en donde se le inste a buscar sus propias respuestas, y donde se sienta libre de cambiar lo que usted cree conforme evoluciona su vida. Si ese es el caso, quizá usted se sienta cómodo en una congregación unitaria universalista. Siéntase bienvenido entre nosotros! We encourage you to attend several services to discover the breadth of what we have to offer. Join us for coffee and conversation following first and third Sunday services. You can pick up information brochures in the social hall and look for board members’ green nametags if you have questions. Plenty of parking is available. Dress at services is always informal. As families with children join us, we will meet the need for a religious education program. Our vision is that people of diverse origins, traditions, and generations join in courageous individual and collaborative quests for personal and spiritual truths, for justice and compassion for our congregation, our planet and all life. Our mission is to be an illuminating beacon and an active force, promoting liberal religious values and interfaith and intercultural collaboration to better our congregation, our greater Taos community, and the world beyond. Our covenant is to engage each other with respect, compassion, and generosity in all our endeavors. Please click here to read our congregation’s current bylaws.